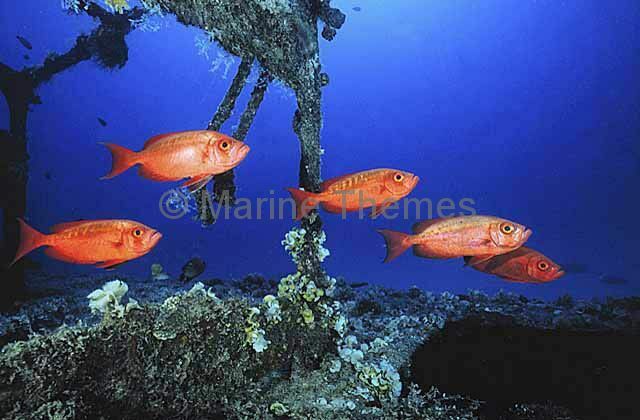 Crescent-tail Bigeye Fish (Priacanthus hamrur) schooling over shipwreck. 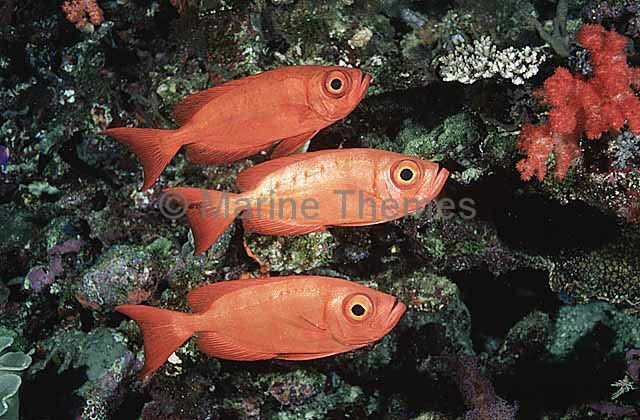 Crescent-tail Bigeye (Priacanthus hamrur) schooling over coral reef. 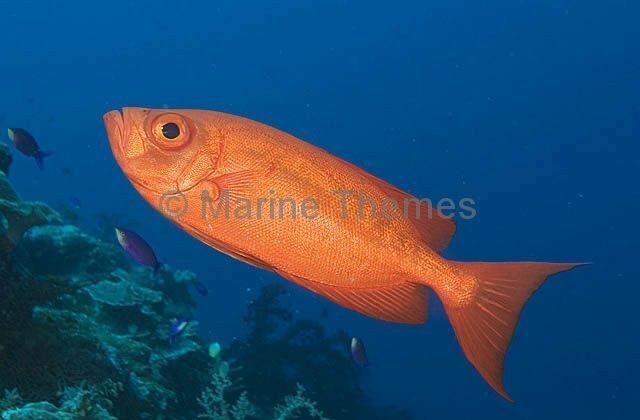 Crescent-tail Bigeye (Priacanthus hamrur) showing banded colour phase. 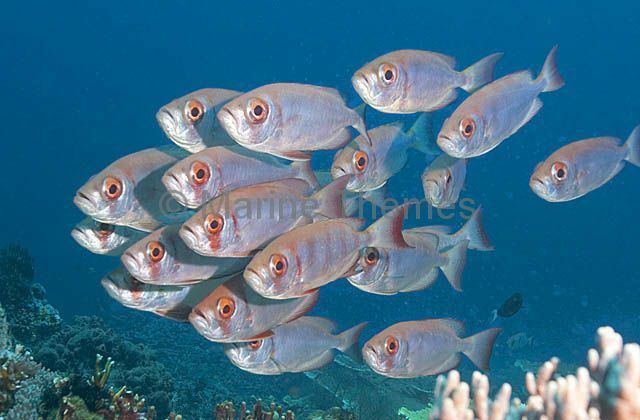 Able to change from solid red colour to silver very quickly. 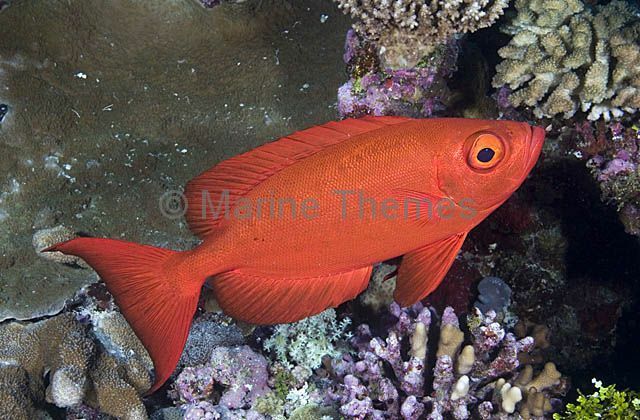 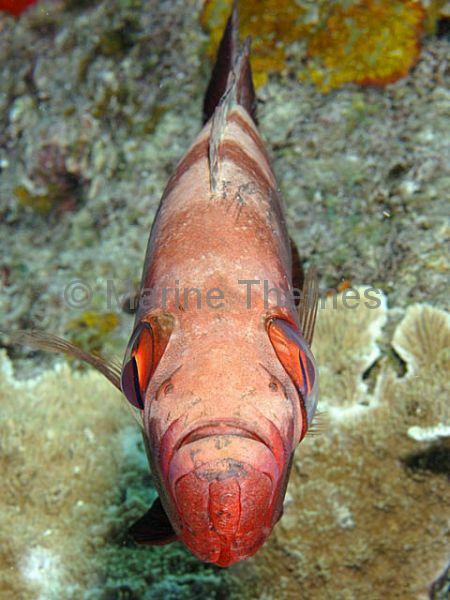 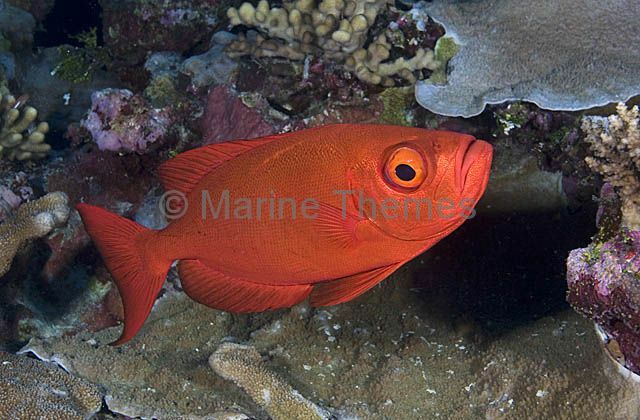 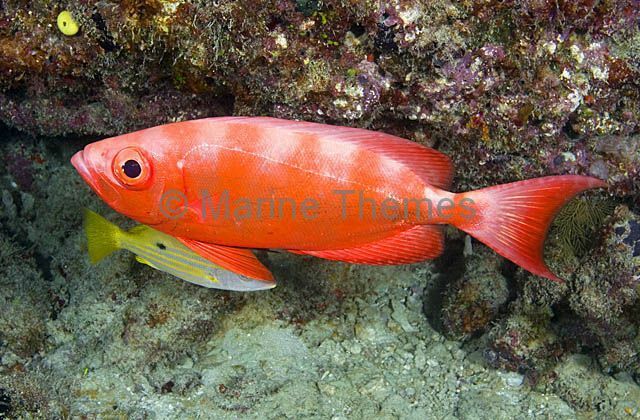 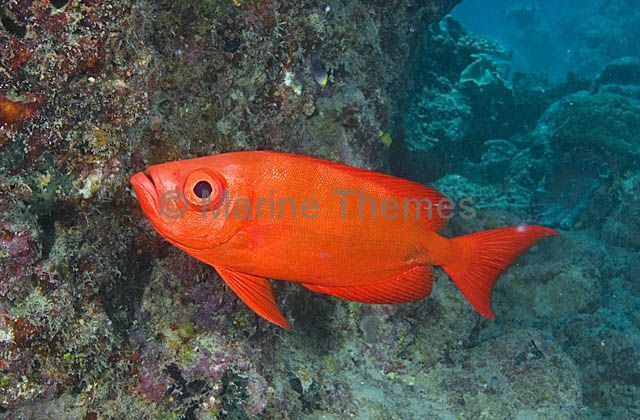 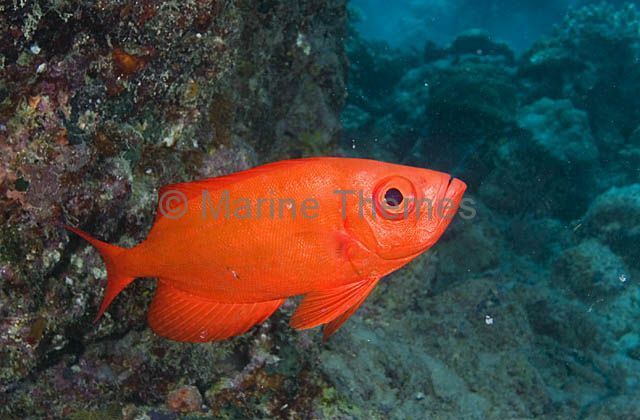 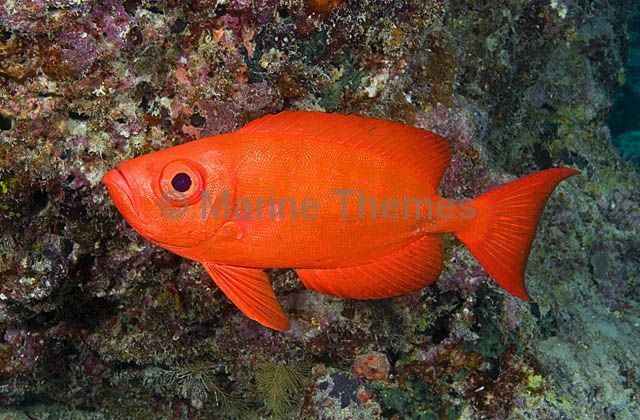 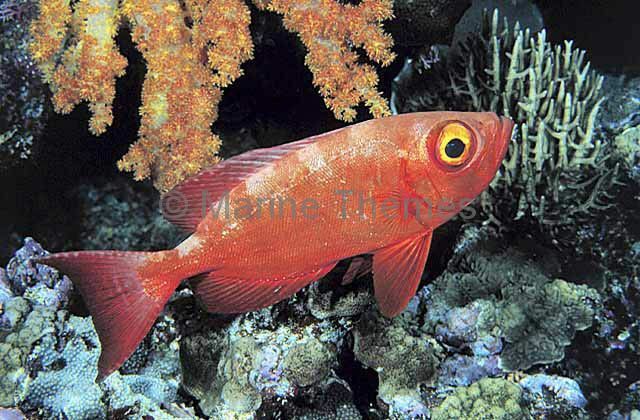 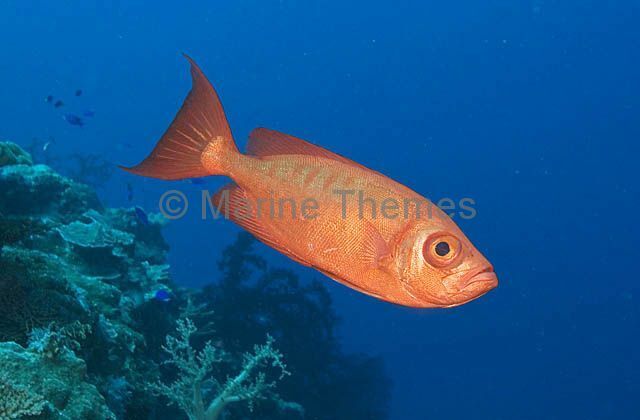 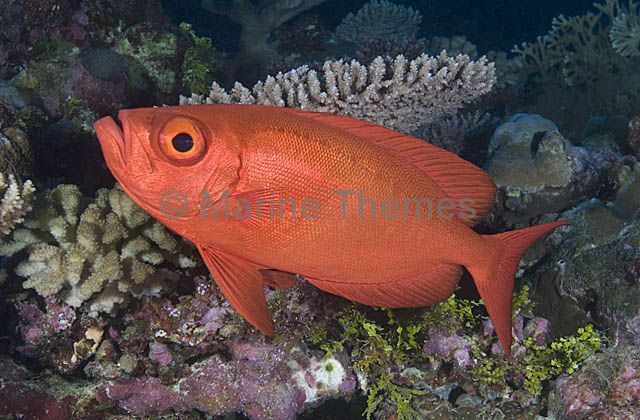 Crescent-tail Bigeye (Priacanthus hamrur) in full red colour phase. 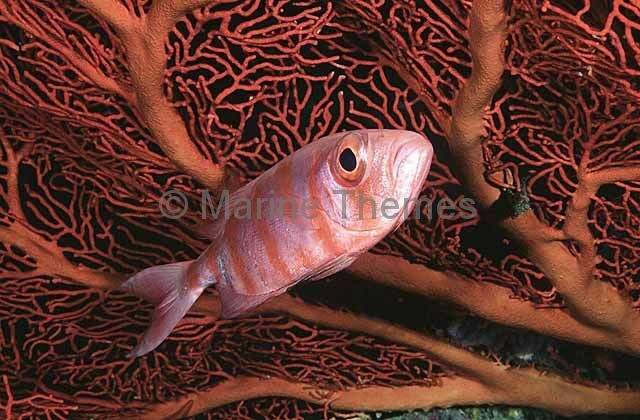 Blochs Bigeye Fish (Priacanthus blochii) or Glasseye.